Nearing the end of the first session of the 39th Parliament of Canada in June, 2006, Chinese Canadians caught word of an imminent apology from the minority Tory government of Prime Minister Stephen Harper. The Ontario of Coalition of Head Tax Payers and Families organized a cross-country train ride with VIA Rail, dubbed the “Redress Express,” that collected aging head tax payers and their families for a journey that began in Vancouver, picking up passengers and journalists along the way, and ending in Ottawa, in time for the last session of Parliament before the summer break. The Redress Express reached Toronto on June 21, 2006, where it gathered about 100 Chinese Canadians, including then 106-year-old head tax payer Ralph Lung Kee Lee and his family, for the last leg of the journey on the Road to Justice. 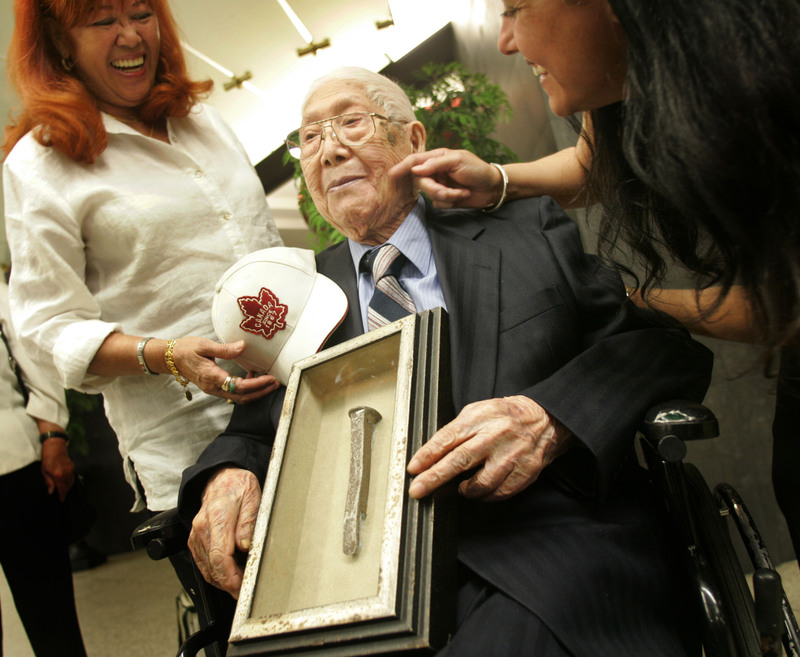 Mr. Lee was entrusted with the ceremonial last spike donated by the late Canadian historian Pierre Berton in 2003. He would later hand it over to fellow head tax payer James Pon, then 88, to give to Prime Minister Harper with instructions that the iconic symbol of the Chinese Canadian redress campaign be put in a place of honour in the Parliament buildings. The last whistle for the Redress Express sounded at Toronto’s Union Station on June 21, 2006, as the train pulled out onto the mainline bound for Ottawa and justice. It was more than 120 years since the Chinese Immigration Act imposed the first head tax, giving payers of the unjust fee and their families for generations to come a “Chinaman’s chance” in Canada. 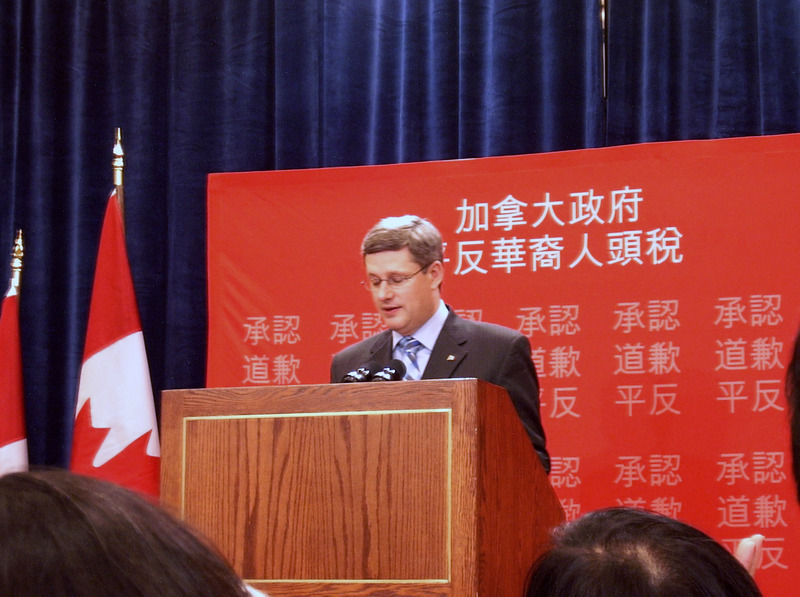 On June 22, 2006, Prime Minister Stephen Harper rose in the House of Commons on the last order of business for the first session of the 39th Parliament of Canada and delivered an official apology to Chinese Canadians. Click here to read the full apology by Prime Minister Stephen Harper.